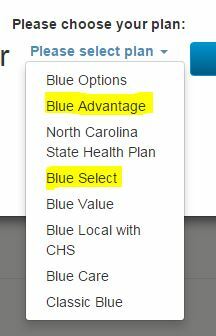 Click the buttons below to see if your doctor is listed for your insurance company. A key factor in choosing your health insurance for 2017 is confirming the doctors, specialists and hospitals that you regularly use are " In- Network " with the insurance company. You may check the latest information the insurance company have posted to their websites here. Important - if there is a doctor with whom you are working now, especially for a serious situation: we strongly suggest you contact that office directly to confirm. PPO - Preferred Provider Organization - The insurance company has a direct contract with that medical practice. No referrals required for specialists. PPO plans normally have Out of Network coverage. POS - Point of Service - Similar to PPO, You choose a Primary Care Doctor, but referrals to specialist not normally required. Out of Network Coverage may be restricted. HMO - Health Maintenance Organization - You have a Primary Care Physician. Referrals to In-Network Specialists are required. No Out of Network coverage. Out of Network - if offered by the insurance company, you would pay a higher Copays and/ or deductible. And these expenses add up to a separate Out of Network deductible and Out of Pocket Limit. Emergency Care - Defined as " The Prudent Person " rule - a medical situation for which a prudent person would seek immediate medical treatment. Having a heart attack, broken arm, even a bee sting if allergic would apply. These medical expense claims would be treated as " In -Network ". Having a bad cold or minor laceration would not apply.